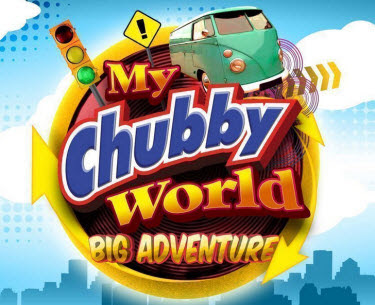 For the kids and kids at heart, GMA Network — in partnership with Rebisco Foods, Inc. — brings to Filipino viewers the second season of My Chubby World featuring “Big Adventure” starting this Saturday, May 12. My Chubby World: Big Adventure is not just an ordinary educational show. It is a 30-minute educational, reality-adventure game show geared towards elementary students. Each episode is also packed with a fun and thrilling race that is sure to challenge the show’s Kiddie Kapuso contestants. Hosted by by Renz Valerio, Janna Cutler, Daniella Amable, and Zyrael Jestre, My Chubby World: Big Adventure will test the Kiddie Kapuso contestants in a series of physical, mental, and experiential challenges. At the start of each competition, Game Master kuya Renz Valerio will give the first clue to a specific task that they need to complete and a hidden Chubby that they have to look for. Once completed, the kiddie contestants will then proceed to the next challenge. For the pilot episode, Kiddie Kapuso contestants Kim So Hyon and Bianca Doria of St. Paul’s Pasig will race against time to complete three water-themed challenges and collect three hidden Chubby that will take them from the scenic Pandin Lake in San Pablo to the fun-filled Splash Island in Binan, Laguna. Directed by veteran children show director Noel Anonuevo, My Chubby World: Big Adventure will surely put fun and excitement for both kids and kids-at-heart beginning this Saturday, May 12, at 8:30 a.m. on GMA 7.